Twelve days from the END of October and still there is nary a FO to be seen. Mystery Stole has eaten up more time than I ever dreamt possible and it is still 50 rows short of the blocking board. To add insult to injury, it looks almost the same as it did a week ago and is thus not blog worthy. 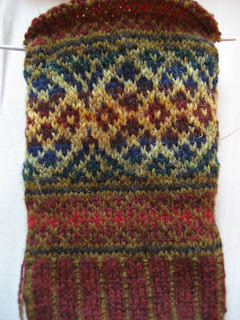 Autumn Rose on the other hand is holding its own with one entire pattern repeat done on the first sleeve. I am in love with the transitions between colours. This picture does not do it justice (can you believe that there are 11 colours in this?!). In person, everything seems to effortlessly fade from one colour to the next. 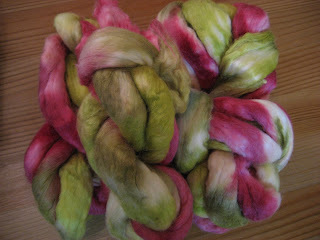 In other colour news, I took my first ever trip to the dye pot a few weeks back and came out with this. 200 grams of a Merino Tussah blend. 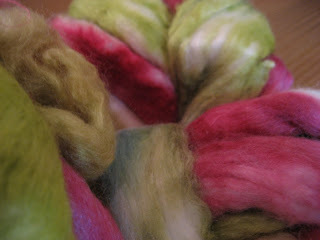 Dyed in bright raspberry, twiggy brown-green, and leafy green. Mmmm...silky. I can't wait to spin this up! It is so soft and shiny and I am very happy with the colours. 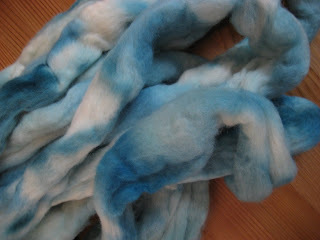 I also dyed up 200 grams of this tone-on-tone turquoise merino. It was dyed using three different intensities of turquoise. I really enjoyed spending an afternoon over the dye pots. After I see how both of these rovings spin up, I will definitely going back to see what else I can come up with. Hope you all have a great and yarn filled weekend! Posted by Amanda at 12:33 p.m.
Oooh, lovely! But now I want an Autumn Rose,too! Eeep. October 19, 2007 at 2:34 p.m.
October 22, 2007 at 3:24 p.m.
More Autumn Rose! More Autumn Rose! The colours on that are just NOT to be believed, they're that stunningly beautiful. I thought that - honestly - when I first saw the project that only someone like Eunny could ever knit it. To watch you (a knitter who I see has firmly placed herself on the Mortal side of things instead of the Knitting Goddess side that Eunny enhabits!) can knit this - and knit it SO BEAUTIFULLY - gives me hope. Maybe in another 20 years I can take a crack at it myself. 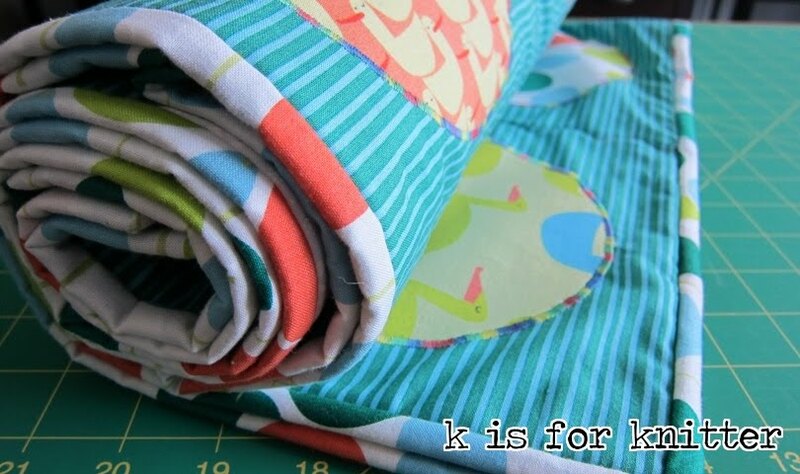 And forget FO's - if your work is currently that beautiful and that fun, who needs a paltry FO when you're getting so much joy from a WIP???????????? October 22, 2007 at 3:26 p.m.